No one decides to get married with the expectation of eventually divorcing; however, as time goes by, people and situations change, and when they do, divorce sometimes becomes not only possible but necessary. When parents divorce, separate or decide to forego marriage entirely, issues often arise regarding how to best provide for the needs of their child. Both parents have a duty to financially support their children. 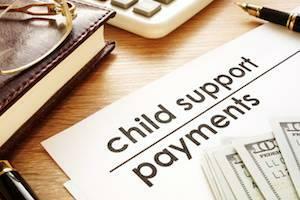 Generally, child support is based on statewide guidelines and intended to provide for a child’s day-to-day needs. Are you a birth mother seeking to establish paternity for your child in order to receive child support and other financial assistance? Are you a biological father seeking to establish parental rights through the paternity legal process? Are your wishes and goals being respected during divorce discussions about division of marital assets? If you owned a house before your marriage and a joint checking account pays the mortgage, is the house considered a non-marital asset? 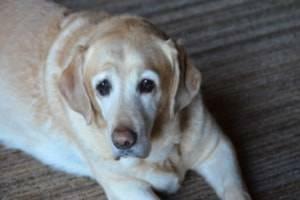 Resolving family law issues can be expensive and emotionally draining. 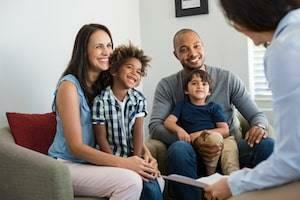 Most families look for cost-effective and efficient solutions to their divorce, child custody or child support issues. Divorce is not enjoyable, nor is it easy. Your mental fortitude will be tested over and over and it is very important to find the right attorney to represent you. I would not made it through my divorce process without Nick representing me. Nick not only had the patience to listen, but the experience in the courtroom to set the right expectations going forward. Nick provided a service and experience that felt like "it was my best friend sense grade-school" representing me. That experience is important sense during a divorce you will probably speak with your attorney more than your friends, especially if you have kids involved. In the end I received joint custody of my child, a great visitation schedule and my finances remained relatively untouched. I truly recommend anyone searching for divorce attorneys to contact Nick. I couldn't ask for a better attorney to represent me in divorce court. He immediately instilled confidence in me from the first meeting we had. Everything from his style, his knowledge, his experience and his understanding and compassion for my case gave me hope. As a father fighting for the right to be with my kids more than 4 days a month, I told Nick from the start, I only want whats fair ... 50/50 time with my kids. In the end, through skillful negotiations and court room experience, the outcome is exactly what I hoped for when I walked into his office the first time. I'll get to be a dad, not a visitor. Thank you for representing me with my legal issues this past year. You were very kind to me when I was going through a particularly difficult time. Whenever I received a motion and got upset you would met with me at once and assure me that you would handle it by explaining the law and assuring me that I had nothing to worry about and I always left your office knowing that you were in control of my situation. I also would like to thank your Business Manager, Ashley, for being so kind to me. Ashley was a wonderful person to work with, and I am not only going to miss you but her. I would without hesitation recommend you as an attorney to anyone who needed legal counsel. You’re knowledge of the law is beyond reproach, and you have your clients best interests at heart. You were able to get to resolution quickly; when my ex-husband brought up many issues, you were able to go straight to negotiation. You responded to me quickly via email or phone, not the case with my past lawyer. Excellent experience. I'm sure to recommend to your office to my family and friends. I live in Houston. I retained Mr. Richardson to help with my pension in regards to my divorce when i lived in Illinois. Living out of state, I was nervous about paying an attorney and wondered if he would follow through. Mr. Richardson quoted me a price that was far below the average. He stuck to that price, he provided me with updates, and he even went steps further to ensure that my rights were protected and that he did his job and then some. Since then I have read and heard so many great things he is doing for the community and state. I don't know if he realizes that his information , emails, travel so far and still impact my life. If you are looking for someone who is fair, honest, follows through, and gets the job done, look no further. I wish he was in Houston. Attorney Richardson founded his firm based on a calm, level-headed approach to contentious situations. He understands the need for agreement, communication and cooperation and regularly employs a collaborative law approach. Family law matters require an attorney with a calm demeanor and the legal experience to see your case to resolution. Nicholas W. Richardson combines proven, determined representation strategies with a client-centered approach to deliver the best possible results. When appropriate, he utilizes mediation to reach resolution. You work only with Attorney Richardson. Your family law matter is never passed along to an assistant or paralegal. He delivers regular updates on the progress of your case and addresses any sudden concerns with promptness and precision. At the Law Office of Nicholas W. Richardson, P.C., Nicholas W. Richardson listens to the circumstances of each situation and provides the experience you need. If collaboration or mediation is not an option, then your rights will be advocated for in Court through litigation. In any case, be assured that Attorney Richardson tailors his legal approach to your specific case and goals. One-on-one service focused on your goals. Please contact the Law Office of Nicholas W. Richardson, P.C., for help with divorce and family law matters. Attorney Richardson offers a free, initial consultation and flexible appointment options including evening and weekend meeting times. He represents clients in Palatine, Schaumburg, Barrington, Arlington Heights, Rolling Meadows and throughout Cook, DuPage, Kane and McHenry Counties. Call 847.873.6741 today.